of a two-day spike in the streamflow as well as erratic weather. It seems they start and then cooler weather slows them down somewhat. I have spotted the adults in good numbers about midway through the Warm River to Ashton stretch. On Monday the flow at the Island Park Dam went from 460 cfs to 1450 cfs. It is our understanding that the reason was to test turbines at the Chester Dam. In spite of the big spike in stream flow along with wet, cool weather the fishing wasn’t bad. In fact our guides had some good days with clients landing a number of large trout. Like I said there are good numbers of salmonflies from Vernon on down to Chester and the fish are eating adults on the surface! After a long winter of watching fish eating #20 midges it is really neat to see a big trout explode on an adult salmonfly! It sort of reminds me of an Orca charging up on a beach and sucking down a seal! I have done well fishing a #6 and #8 Henrys Fork Foam Stone. Also Water Walkers have been working well. 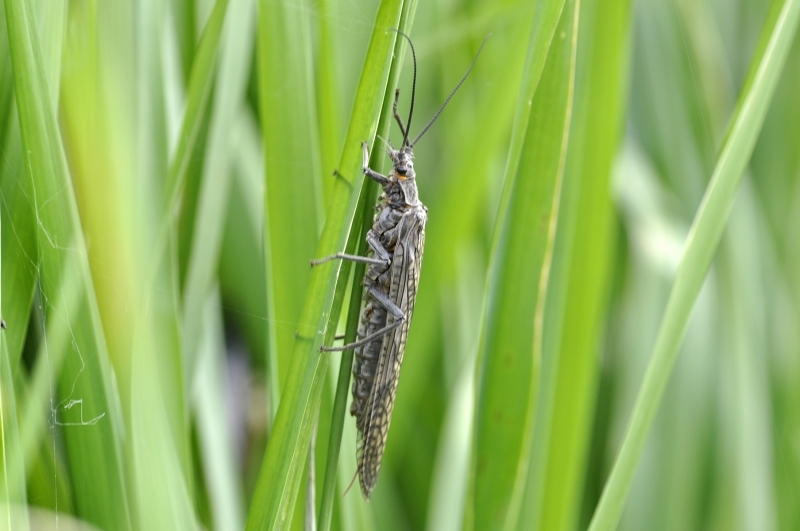 Keep in mind that when fishing the big bugs you want to tuck them in close to the banks, the tighter the better. You may lose a few but that’s how the game must be played! Don’t forget to bring rubber legs with you! #4 #6 and #8 brown and black will do the trick. With the low water don’t neglect the deeper runs and slots in the middle of the river. Also don’t rule out some of the other hatches you will see on the Henry’s Fork this time of the year. Caddisflies and March Browns are hatching in great numbers and I can tell you that fish are eating them! Lawson’s #16 tan EZ caddis has been working very well and so has a #10 Parachute Adams. I have also had good success with a #10 Hi-Vis rusty spinner when the March Browns are around. 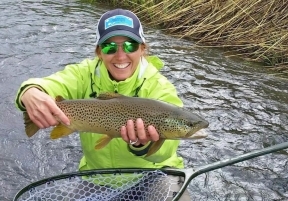 The South Fork has been fishing very well so far this spring. Flows have been at 11,600 cfs for a while and unless there is a significant bump in the flows fishing should stay consistent. Sounds like the rainbows are spawning pretty heavily on the upper end. A # 16 Chartreuse Glo Bug and a #16 or #18 Red Zebra Midge should do the trick. #08 Brown Rubberlegs with a #12 Bead Head Prince seems to be the recipe for success from Conant Valley on down. There is no limit on rainbows if you want to keep a trout to eat. 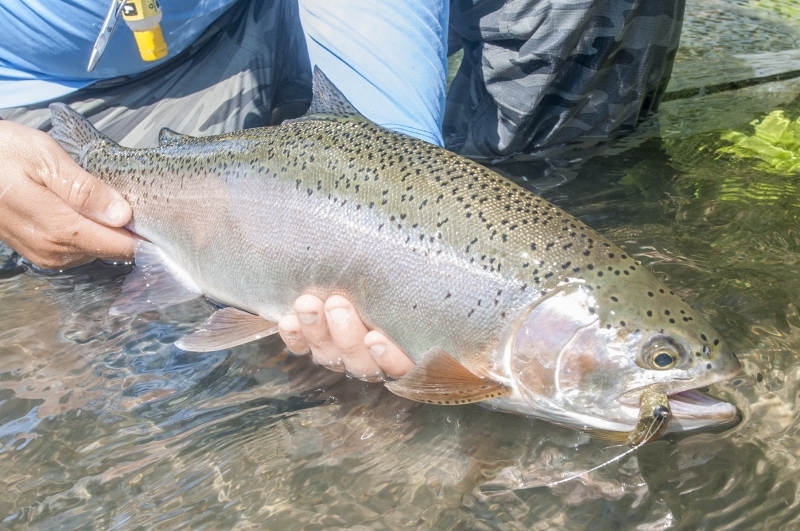 In fact the management policy on the South Fork encourages anglers to kill rainbows because of their potential impact on the native Cutthroat trout. We have also had some reports of some very good dry fly fishing with good hatches of Blue Winged Olives, especially during cool, cloudy weather. While the Teton may be a bit high, I would not be afraid to go give it a look. 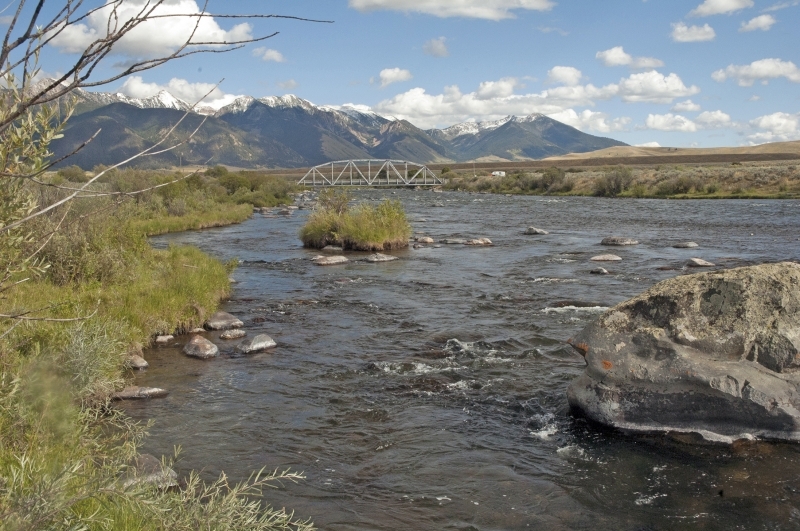 It carries a lot of runoff from the Teton Range. You will be best to wait until later in June when the flow drops and becomes more consistent. The flow at St Anthony is 1870 cfs which is about normal for this time of year and there is about two feet of visibility. Streamer time! The Teton would be a great place to get away from the boats that are invading the Henry’s and you may have an amazing day of fishing. I would have #6 Copper Zonkers and some Cheech Leaches as well. The Madison has been fishing very well. The wade section is probably your best bet right now. Visibility is about 2 feet and the streamer and nymphing action has been second to none! #8 and #10 Brown Rubberlegs will keep you busy and Copper or Crystal Zonkers will help you get you’re streamer fix! I would also have a few San Juan worms and attractors like a #16 Prince nymph. Visibility gets tougher below the West Fork where the visibility goes down to about a foot.